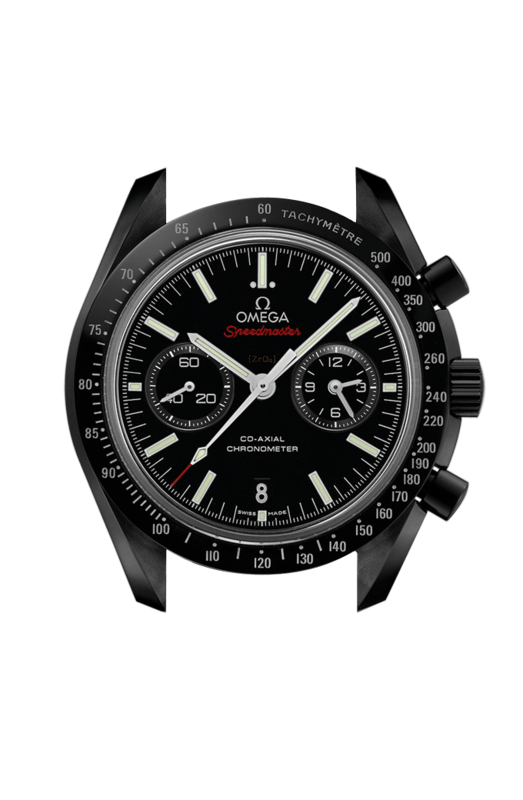 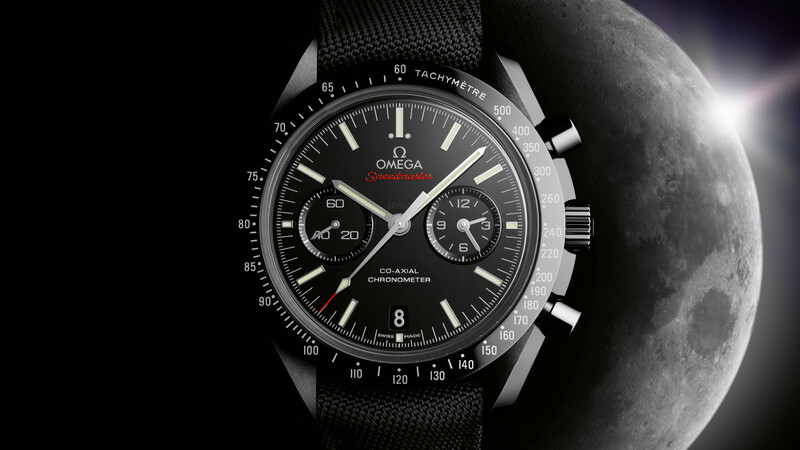 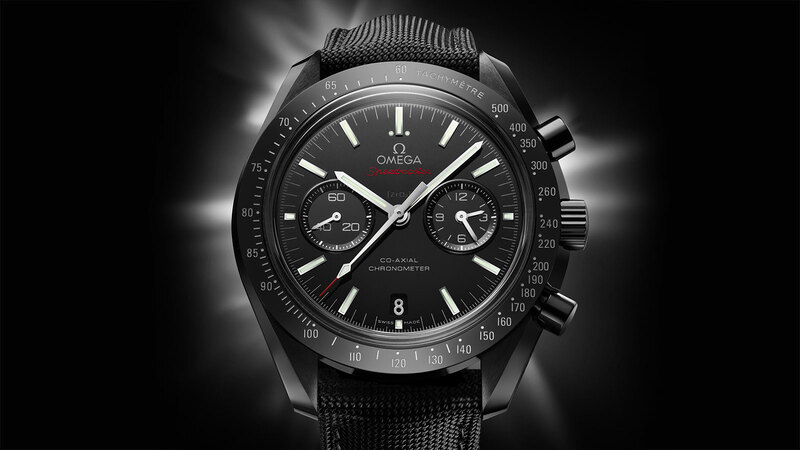 Emblematic of OMEGA’s bold style, forward-thinking innovation and adventurous spirit, this ceramic OMEGA Speedmaster "Dark Side of the Moon" represents a sleek and sporty new addition to the iconic collection. 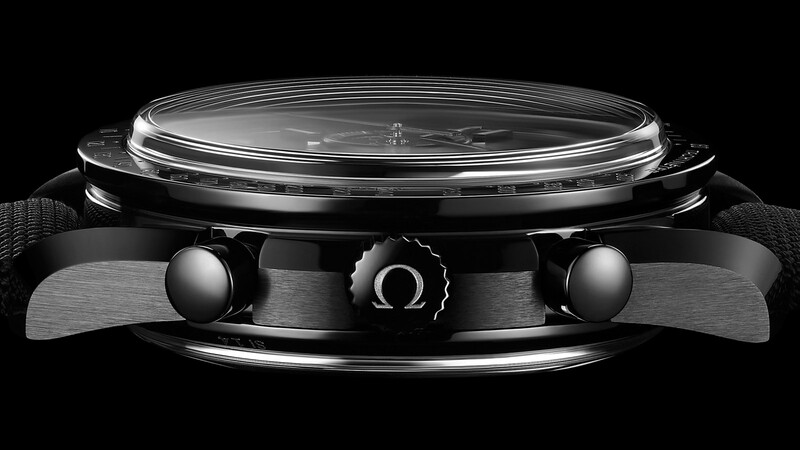 This unique timepiece features a black zirconium oxide ceramic dial with striking 18K white gold "Moonwatch"-style hands and two ceramic subdials at 3 and 9 o'clock. 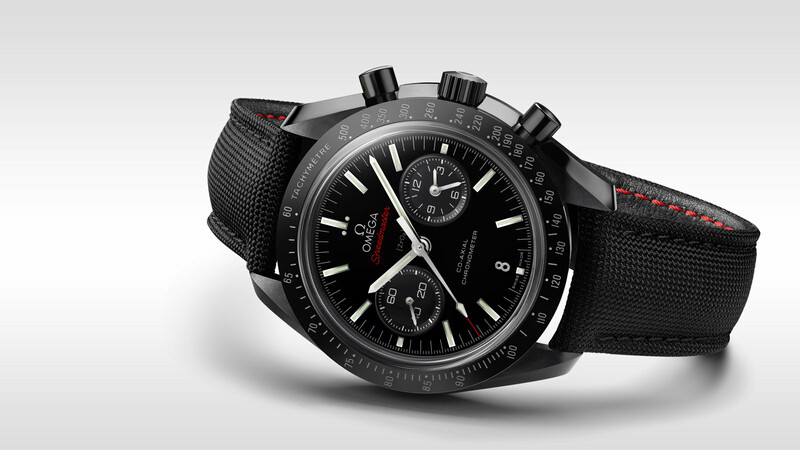 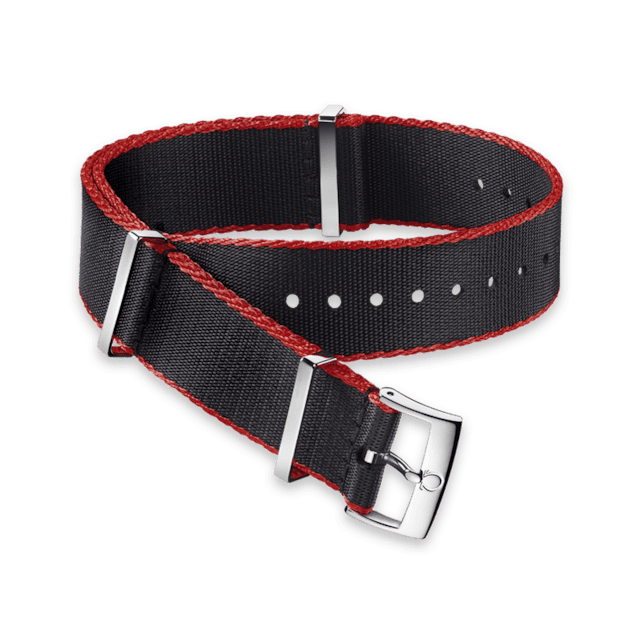 A matt chromium nitride tachymeter scale - among the most identifiable design features of the Speedmaster - stands out on the polished ceramic bezel which is set on a 44.25 brushed and polished ceramic casebody. 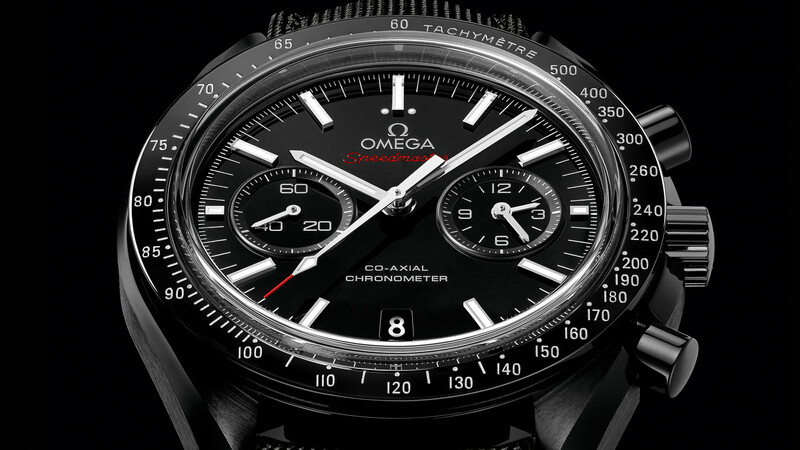 Engraved on the ceramic caseback just above the sapphire crystal, are the words "Dark Side of the Moon" - an appropriate tribute to this Speedmaster's heritage and captivating design. 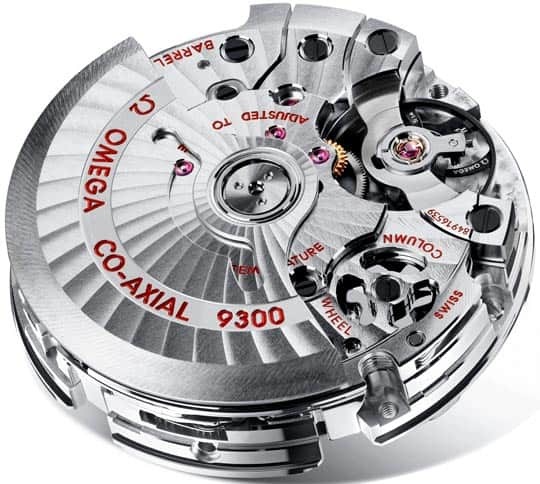 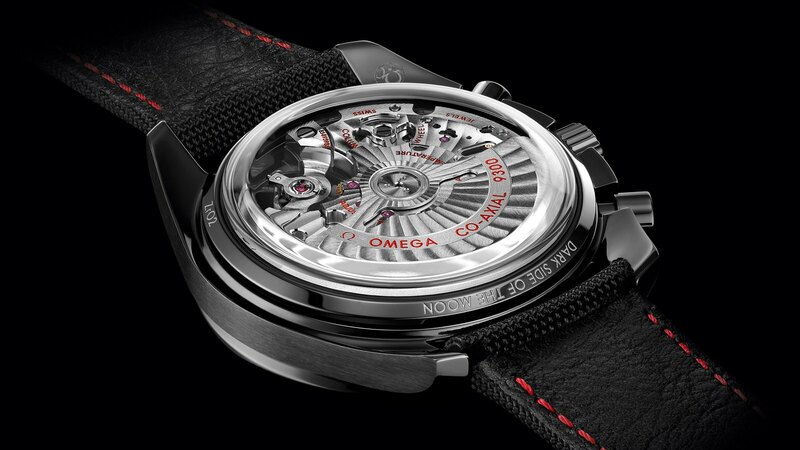 This timepiece is powered by the OMEGA Co-Axial calibre 9300.